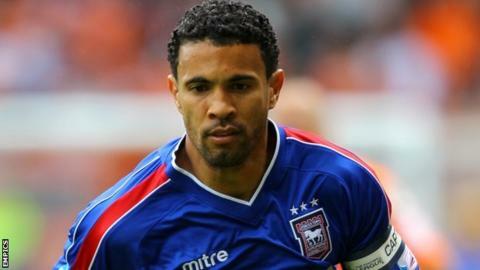 Ipswich Town captain Carlos Edwards says some of his team-mates have been taking advantage of boss Paul Jewell's "nice" approach. Jewell has admitted to after a run of 10 games without a win. "He's a genuine man. He's too nice for his own good sometimes," Edwards told BBC Radio Suffolk. "I think we as players take advantage of the situation and not perform in the way that we should." Ipswich spent much of last season - Jewell's first full term in charge - trying to avoid relegation from the Championship before finishing 15th. They are currently 23rd, with just one league win all season, and host Derby in a pivotal game on Tuesday night. "I had a quick word with the gaffer on Monday morning to reiterate he has got the players' support," said 33-year-old Edwards, who was already at Portman Road when Jewell succeeded Roy Keane in January 2011. "Yes it is a hard job at the moment because of the results. He's thanked me for the players being there. "We just hope we can put a smile on his face. I hope the players can open their eyes to the bigger picture because there's still a long way to go and we do have to start getting results sooner rather than later. "Are all the players behind the manager? I would say 'yes'. But there are players who hide their feelings and will not come out and say they want him sacked or to stay. "I'm just one person who can say I would like him to stay, but that's just me." The Trinidad-born full-back has urged Jewell, who has won promotion to the Premier League with Bradford and Wigan, to show a nasty streak. "I told him he needs to get back to the horrible guy he was when he first came. If he does that you'll see who wants to be at the club and who doesn't," Edwards said. "He's changed loads. He's too nice for his own good. That means his job is up in the air. He's not the type of person to be horrible and doesn't want to be branded as that. "Some players still need breast feeding. Players are not like they once were and you need to put an arm around them. "But sometimes they need a kick up the backside rather than an arm around the shoulder."